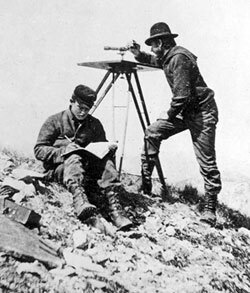 Jasper Land Surveying – Page 5 – …a marketing website for The Land Consultants. It is a very good idea to build your home because you will be able to get exactly what you want instead of when you buy. Of course, you may need to add some things or you may not know what you are getting yourself into. It is a huge decision choosing the right builder since it is one of the largest personal investments that you will make. Be sure to give an interview to all of the possible contractors and then pick the one that will help make your dream home come true. While you are talking to the possible contractors be sure you ask all of the pertinent questions that will help you choose the best; their how long they have been in the business, experience, what are the kind of buildings that they have experience building and it would be great if you can see some of their work. It is also crucial to pick house plans which may lead to a good home now and in the future. This is something that your contractor should be able to help you with and they may call on the services of an architect. Before to planning your house design consider these factors; your budget, the size of the home to be built, location of the home, wall finishes, design features that you would like, ceiling height, number of stories, fixture types, exterior finishings, also your time frame. If you happen to be uncertain about any of these items, your contractor or architect should be able to guide you through this very important process. They will help you choose the details that are right for you down to the very smallest detail. They may refer you to other consultants for things like finishes, colors, and the like so be prepared to sit and discuss with them for a few hours to talk about all these choices that you may have.This is the reason that your choice of a builder is important. If your builder isn’t able to advise you on home location they should refer you to a real estate agent. A real estate agent is familiar with important details like neighborhood home values, school districts, traffic issues, funding options, etc. Another stop you should make is to see a land surveyor. 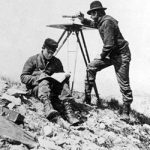 Land surveyors are trained and experienced in identifying features of the land that might have an impact on your new home – called land surveying. Some of these features are flood zones, property line encroachments from neighbors, lot dimensions, and building setbacks. 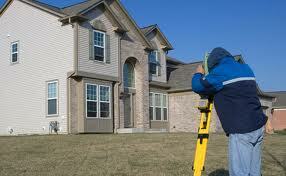 Land surveyors are measurement experts. 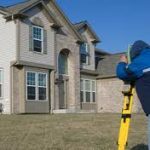 And, since your home is your most valuable asset, land surveying should be one of your first steps in any new construction.